What's all this talk about Holizaar 5? 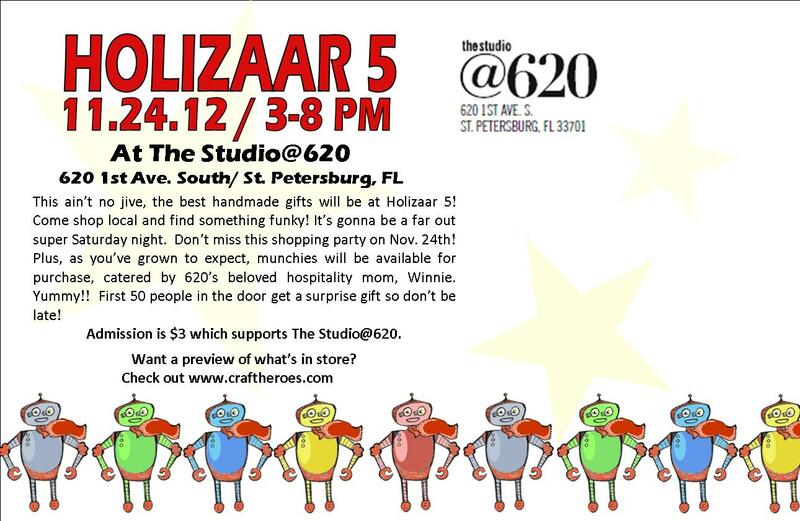 This ain’t no jive, the best handmade gifts will be at Holizaar 5! 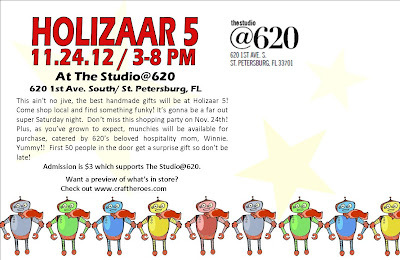 Come shop local and find something funky at this hand made holiday bazaar! It’s gonna be a far out super Saturday night. Don’t miss this shopping party on Nov. 24th from 3-8 PM! Plus, as you’ve grown to expect, munchies will be available for purchase, catered by 620’s beloved hospitality mom, Winnie. Yummy!! First 50 people in the door get a surprise gift so don’t be late! Admission is $3 which supports The Studio@620.